Uh, so many months since my last article on this blog, wow. And so much stuff happened in the past few months, including…NX’s formal announcement, finally. Ops, sorry, I meant the Nintendo Switch’s formal announcement. An unusual kind of announcement, especially compared to what most people expected, form-wise: not a Direct of sorts, but a 3:30 video that teases the most relevant features of the device, some games, official name and logo, and then goodbye to January 12th / 13th (depending on your timezone) for everything else. And now, it’s just slightly more than two weeks before the day: that’s when we’ll see if the great and attractive package shown this October delivers and it crushes everything and shines more than the Sun and manly tears are shed for the awesome, or if it fails and crushes and brings Nintendo to their bottom and people will cry sad tears and-what’s going on with the hyperboles? Seriously though, it’s going to be a major step in Switch’s life, and many people (me included, I’ll be honest here) hope the event will be good in several ways. So, I thought this is a good time to write about some games I’m expecting and / or hoping to see appear on stage or just getting announced. It should be fun to look back, after the Presentation, to see how much stuff I got right (or wrong. Mostly wrong, I’m sure). In any case, I remind this is not a ranking, but just a list featuring the stuff that surprised me the most (negatively, in this particular case); it’ll be clear how some items of this list would place in an imaginary ranking between each other, though. This introduction sounds good enough to me; time start to dive into the second part of this feature (so ironic to say “time to” for such a long-delayed article, and after so much time passed since E3 ended, but they say auto-irony is a quality, after all…right?). It’s update time again for Nintendo’s recently-established loyalty service, MyNintendo. As a matter of fact, several rewards are expiring today, July 1st (some at 08:00 AM GMT, others at 09:00 AM GMT), which means new rewards are starting to appear everywhere. If you have Golden and Platinum coins ready to be excahnged for goods and services (woo-hoo! ), time to see what’s new, then. New slogan for Nintendo of America? Also, just see the already well-documented and not-praised-enough logo for MyNintendo, which is actually global compared to all the aforementioned initiatives, NA only for now. Thanks to the recent 2DS price-cut commercial, it seems there’s a new element of this new advertising policy. Seriously, though, I played several games on PSX, and, I have to be honest, there’s a series I’ve fell in love with back when it appeared on the first PlayStation, and it’s sad to see it now disappeared from Earth (…even if maybe not for long?!? 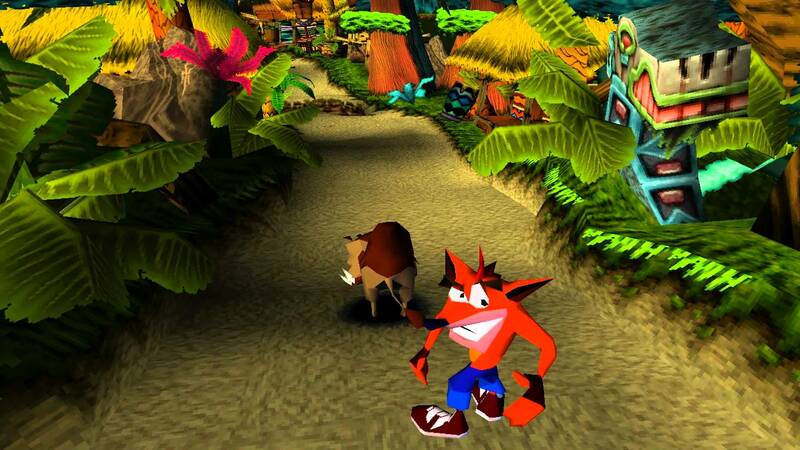 ): Crash Bandicoot “original” series. MAJOR WARNING: This is a 4,000+ blog post, containing spoilers about both games. In case you haven’t played these games yet, avoid the rest of it. For all the others, see you all after the jump.